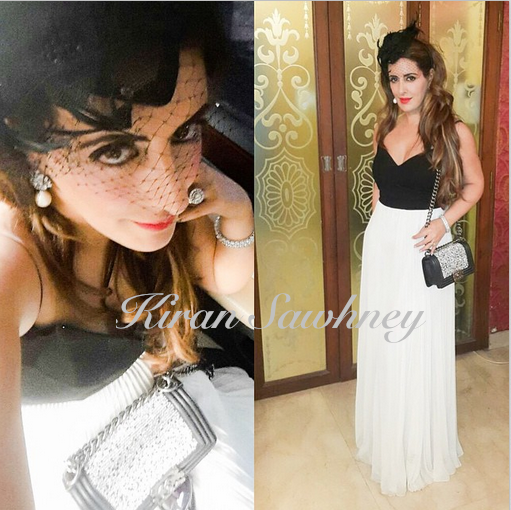 Pria Kataaria Puri was at Signature Derby where she wore monochrome pleated maxi by Marchesa. She teamed it with Harriet fascinator and Chanel crystal boy bag. Think she did good? For us, its a nay.